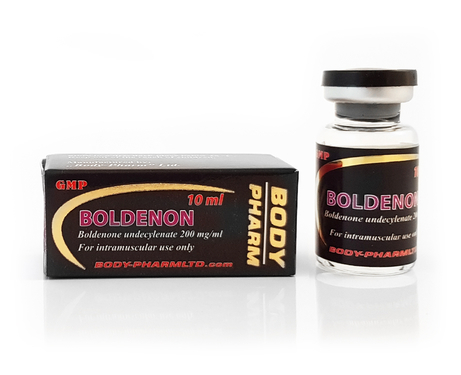 Each ml of Boldenon contains 200 mg of Boldenone undecylenate. Boldenone is labeled for use as adjunctive therapy, as an aid for treating debility when an improvement in weight, or general physical condition is desired. Anabolic agents are also contraindicated in patients with hepatic dysfunction, hypercalcemia, patients with a history of myocardial infarction (can cause hypercholesterolemia), pituitary insufficiency, prostate carcinoma, in selected patients with breast carcinoma, benign prostatic hypertrophy and during the nephrotic stage of nephritis. In the presence of adequate protein and calories, anabolic steroids promote body tissue building processes and can reverse catabolism. As these agents are either derived from or are closely related to testosterone, the anabolics have varying degrees of androgenic effects. Endogenous testosterone release may be suppressed by inhibiting luteinizing hormone (LH). Large doses can impede spermatogenesis by negative feedback inhibition of FSH. Anabolic steroids can also stimulate erythropoiesis. The mechanism for this effect may occur by stimulating erythropoietin stimulating factor. Anabolics can cause nitrogen, sodium, potassium and phosphorus retention and decrease the urinary excretion of calcium. Patients with hepatic dysfunction, hypercalcemia, patients with a history of myocardial infarction (can cause hypercholesterolemia), pituitary insufficiency, prostate carcinoma, in selected patients with breast carcinoma, benign prostatic hypertrophy and during the nephrotic stage of nephritis. Boldenone causes a detrimental effect in testis size, sperm production and quality in males. In women, the drug caused fewer total and large follicles, smaller ovaries, increased clitoral size, shortened estrus duration, reduced pregnancy rates and severely altered sexual behavior. Has the potential to cause hepatic toxicity. If overdose of Boldenone undecylenate is suspected, contact your Doctor immediately.